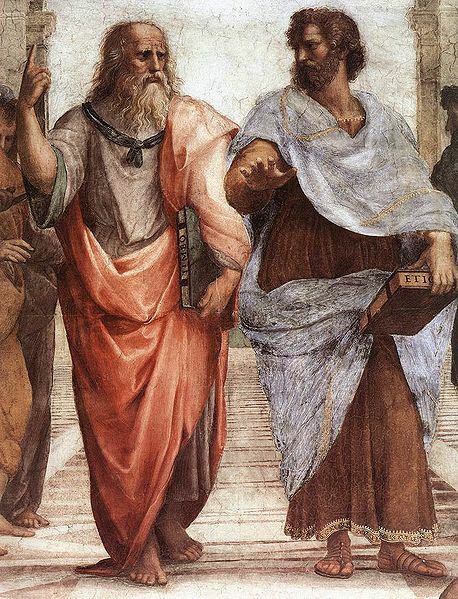 Western civilization, over the last few hundred years, has developed a mechanistic world view in which we have come to believe that everything can be explained in a phenomenological way – everything behaves according to a series of knowable rules and laws which can be deduced, known and harnessed for our materialistic purposes. Nature, once seen as a miraculous entity, filled with spirits and deities, could now be reduced to knowable patterns and dry equations, and could be brought to heal at the altar of the human mind. • Matter is primary and gives rise to mind as a secondary phenomenon. Consciousness is therefore a by-product of the physical brain. • There is no survival of consciousness after death. The death of the brain is the death of the individual. • God is an unnecessary hypothesis and the concept of the soul an irrelevance. • The life of the universe has come into being by blind chance. • There is no transcendent purpose or meaning to our lives. 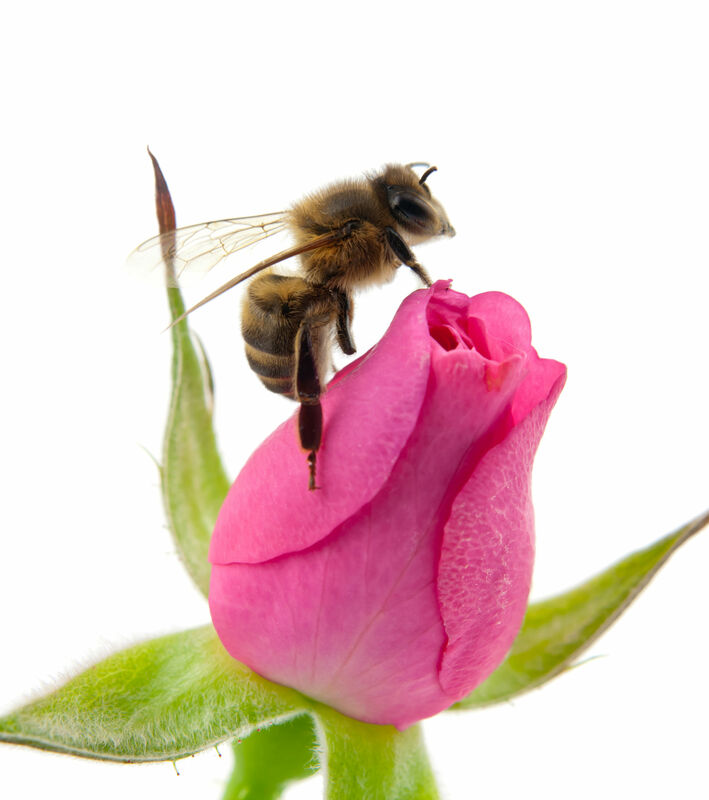 A honey bee perceives a rose completely differently than do we or any other life form. Our sensory apparatus gives rise to what I would call “Awareness.” We receive input through our senses (of taste, touch, smell, sight and hearing) of which our brains and central nervous systems make sense. Because we sense it, we are aware of it – or so we think. This immediately brings to bear an important point – what we believe we are perceiving is actually an abstraction of it – it’s what our brains make of the data received through our senses. Let’s take a simple example. Consider a rose. When you look at one, you might describe its color and fragrance. But color and fragrance don’t exist in an objective way! They are characteristics of our sensory apparatus (our eyes and noses) and what our brains do with that information. To a dog, a rose is perceived in a completely different way! Or consider a honey bee – because it “sees” in the ultraviolet spectrum, it will perceive a rose in an entirely different way. Indeed, the nature of what one perceives really depends on who or what is perceiving, and how one perceives! So what is the essential nature of matter or indeed anything in the universe? Well, the simple truth is that the answer lies beyond our tools of perception, beyond simple awareness and, indeed, beyond the abstracting powers of the human mind. This is a notion that was described by Plato in his Theory of Forms and has been taken up by many cultures and individuals over time. Kant’s notion of the “Noumenon,” of the “thing in itself,” describes a reality that precedes perception, that is known (as far as it can be known) without the use of our physical senses. • Consciousness is primary and matter secondary. That is to say, the phenomenal world emerges from an invisible dimension or implicate order of reality. • Our human consciousness is integral to that greater consciousness, even though it is still partially developed or immature. • Consciousness in some form survives the death of the physical body. • What we have called God or spirit is the divine ground as well as the process of life in the universe, our planet and ourselves. There is nothing outside or beyond God. • The soul is a vast and complex field or web of relationships connecting invisible spirit with the phenomenal world. Our body/mind organism is intimately connected to that wider soul, field or web of relationships. So, transcendent consciousness is the ground of all being, yet it transcends the very fabric of time and space. You might say that something wakes up in matter, that we are aspects of this transcendent energy, all participating in this grand web of life and experience, each and every component playing an integral, divine role in this magnificent production. We are so much more than what our tools of perception and abstraction make of us, and so is every aspect of the universe!